ADDIS ABABA, Dec 21 2016 (IPS) - Smart phone users in the Ethiopian capital are rejoicing. After a two-month blackout the Ethiopian government has permitted the return of mobile data. Most Ethiopians who access the Internet do so through their phones, and previously the government had singled out social media activity as a major influence in agitating unrest that has doggedly seethed across the country since breaking out a year ago. But now, more than two months into the six-month state of emergency declared by the government on Oct. 9, protests previously rocking the country’s two most populous regions appear to have subsided, and gangs of young men are no longer prowling the country setting fire to buildings, blocking roads and clashing with security forces. But despite the appearance of order being restored, no one seems to know what may happen next, or whether this calm will hold. The current situation may simply serve as a temporary break in Ethiopia’s most sustained and widespread period of dissent and protests since the Ethiopian People’s Revolutionary Democratic Front (EPRDF) ruling party came to power following the 1991 revolution. For up until now, the political gamble underpinning the EPRDF’s developmental state project—similar to China’s strategy—has been that the material transformation of Ethiopia would ultimately satisfy the divergent populations comprising Ethiopia’s ethnic federation. With months of the state of emergency still to run, however, the EPRDF now has a critical opportunity to forge a sustainable route out of the mire. The big question is whether it will seize the opportunity or is capable of doing so. Because since 1991, dogged by criticism over its authoritarian style and human rights record with Western observers and governments calling on it to deepen its commitment to democratic reforms, it hasn’t shown much interest in listening. Protests that began last November with Oromo farmers objecting to land grabs have mushroomed into an anti-government movement which now includes the Amhara, Ethiopia’s second largest ethnic group after the Oromo (together the two groups represent about 60 percent of the population). 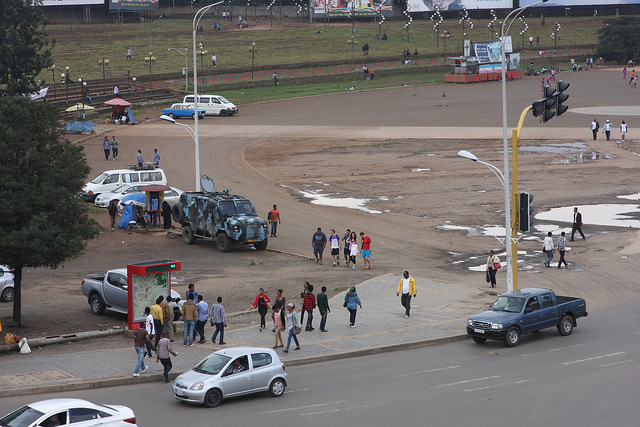 And protests have occurred in places transformed by economic growth, such as the Amhara capital, Bahir Dar, and Adama, Oromia’s most cosmopolitan city. Meanwhile, the rhetoric of ethnic hatred and cleansing has already shown itself. This all illustrates that despite the EPRDF’s efforts to forge a new nation-state identity bolstered by economic transformation, ethno-regional loyalties have lost none of their appeal; especially in the face of government oppression identified with a Tigrayan elite—from an ethnic group forming only 6 percent of the population—accused of usurping power and much of that new wealth. “The constitution the government came up with is a perfect match for a country like Ethiopia,” says one Addis Ababa resident, explaining how this ethnic federalism best matches Ethiopia’s diversity—he himself is of mixed ethnic heritage. “But you have a group of Tigrayans in government deciding the fate of 100 million people who aren’t allowed to say anything,” The result, he adds, is the constitution is shown to be only as good as the paper it is written on. 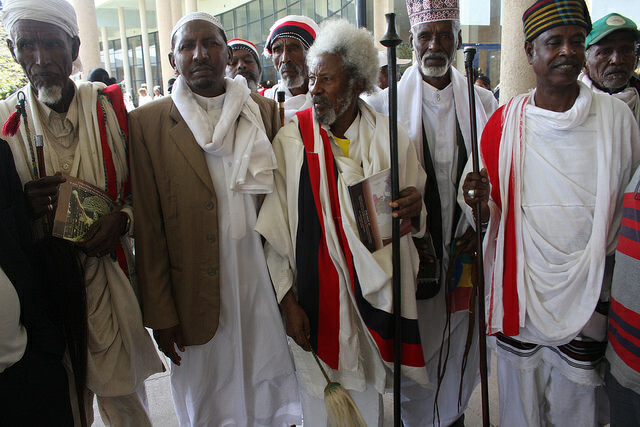 Against such a background, these protests have illustrated that the perennial problem for Ethiopia’s rulers over the centuries remains unsolved: maintain the integrity of a country and people whose boundaries are those of a multi-ethnic former empire forged by violent conquest of subjugated peoples (such as the Oromo). Admittedly until recently, and for most of the last two decades, it appeared the EPRDF was on top of this challenge, demonstrating the most impressive economic and development-driven track record of any Ethiopian government in modern history. Against the fiasco of international assistance in Somalia, Ethiopia is a development darling, held up as a heartening example of indigenous government and international partners succeeding in reducing the likes of poverty and mortality rates. Geopolitical considerations also mean Ethiopia is an important peace and security bulwark for the West in the Horn of Africa, a region troubled by internecine fighting in South Sudan, Islamic insurgents in Somalia and floods of refugees abandoning Eritrea. But statistics that wowed the international community have masked the more complex reality in which most Ethiopians, while not as susceptible to famine and disease, remain utterly stifled in their lives’ endeavors. During its rule the EPRDF has shunned diversity of political opinion, repeatedly cracking down on opposition parties, putting their politicians in jail of forcing them into exile. The 2015 election produced a parliament without a single opposition representative. Freedom of expression in Ethiopia is strictly curtailed—an independent civil society no longer exists. Meanwhile, Ethiopia’s citizenry is increasingly angry at seemingly never-ending government corruption. And a mushrooming youthful population means the number of young unemployed men across the country irrevocably rises, their thoughts and frustrations turning toward the center of power that is Addis Ababa. Numbers killed during protests range upward of 600, with thousands imprisoned, according to rights and opposition groups. “We now have names, and in most cases even photos, of the more than 1,000 victims who were killed by security forces since the protests began,” Mohammed says. Having built a brand over the last 25 years as the safest and most reliable country in the volatile Horn of Africa, Ethiopia has found its reputation on the line amid the upheaval. Now it’s trying to repair the damage to that brand and to society itself. 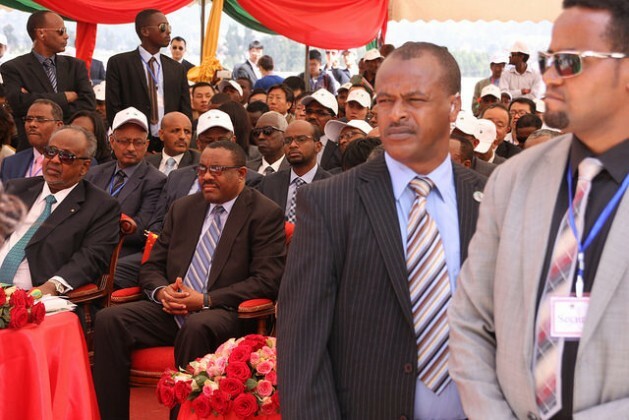 “The government must be ready to accept fundamental reforms,” Abebe says. Prime Minister Hailemariam Desalegn conducted a major cabinet reshuffle at the end of October, changing 21 of 30 ministerial posts, including 15 new appointees. The selection of technocrats without party affiliation is a positive signal the party is serious about delivering changes, say some, while others argue it perpetuates the monopoly rule of a select few, an intelligentsia judged worthy to lead the perceived ignorant Ethiopian masses. The government is also promising “deep reforms” to solve root causes of protests. But for a country with a millennia of centralized, autocratic rule, that’s much easier said than done. A prevailing accusation among its opponents is the EPRDF still clings to the same left-wing revolutionary ideology of 1991 that insists on Leninist single-party control, hence it remains fundamentally anti-democratic and unable to countenance reform. Others claim moderates exist in the party who could help change its direction for the better. But that’s a tough sell. Hence many argue the EPRDF has lost all legitimacy and must make way for a transitional government. Others counter that’s neither feasible nor in Ethiopia’s best interests. 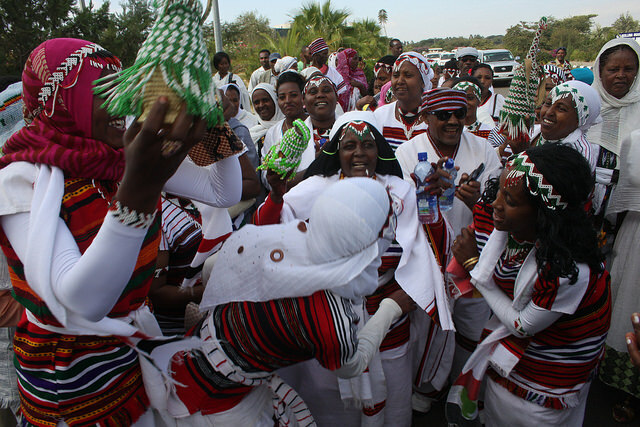 “People need to recognize that if you push too fast you can get more chaos,” Abebe says. Instead, according to many, the EPRDF should focus on the following: purge its ranks of the corrupt and ineffective; reform key public institutions found wanting; release political prisoners; take seriously negotiations with opposition elements home and abroad; ensure Ethiopia’s youth are given jobs and hope. Also, at the same time, the government must establish a new electoral commission to guarantee the next local elections in 2018 and national elections in 2020 are freely contested.